A state machine specifies behaviour of a modelled element. 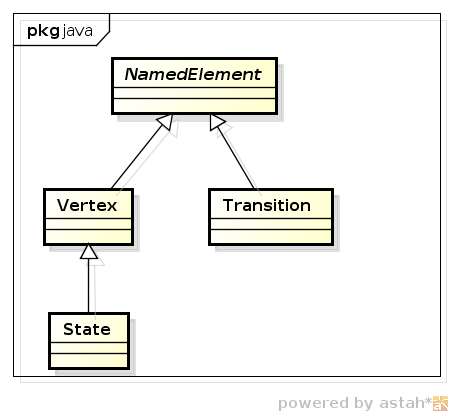 Since the modelled element can have attributes, the state represents a valid combination of values for those attributes (=value configuration). A state can be a FinalState, indicating that the enclosing region is completed. Why didn’t the OMG model the information if a state is final as a boolean property of State? After all, it has the implication that you have to pick a special element (=create a special metamodel instance) instead of just toggeling a value between true and false (like marking a class abstract). My guess is that they want to force you to think twice before considering a final state. 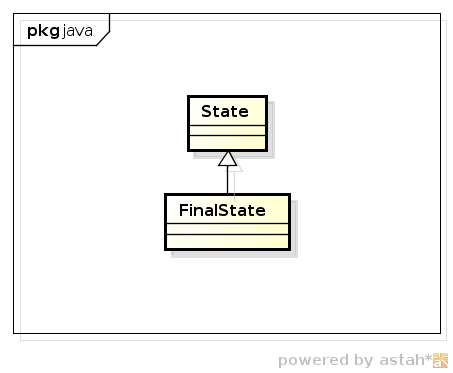 In contrast to abstract classes, the FinalState has some implication on the model’s structure, the model can’t just continue with transitions to other states after reaching the FinalState. But then again, the metamodel of Transition has no special handling for FinalStates. 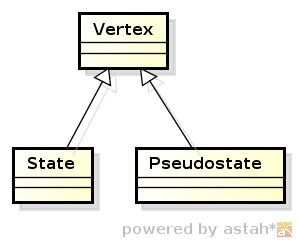 Pseudostates do not represent value configurations of the modeled element, they stand for a transient node. Thus they are not a specialization of State. Dieser Beitrag wurde unter Metamodelle, modellierung, mof, OCUP, omg, uml abgelegt am 22. April 2014 von modellierung.net.